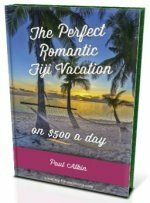 Want to find out more about Labasa Fiji? 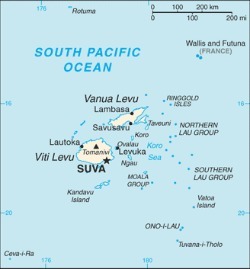 It has a population of 28,000, and is the biggest town on Fiji's second biggest island, Vanua Levu. It's situated in the north east along the Labasa River about 5km inland. There's not much to do in Labasa as a tourist, but worth a few hours on your way through. The big sugar mill, the only one of the island, sits 1.5km out of the town centre on Nasekula Rd on the other side of the river. This indicates it's sugar rich history with the likely smell of molasses in the air. Most of Labasa's (pronounced Lam-ba-sa) population is Indo-Fijian (Fiji Indian) whose ancestors, most of which, were indentured labourers who were bought to Fiji to work the plantations. Today it's a service and administrative centre as well as being an industry town. 1. Grand Eastern Hotel - It's located on Rosawa St (on map bottom) near the river. 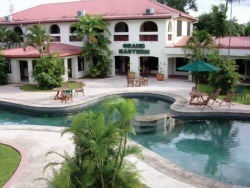 It's the nicest hotel in Labasa, with upgrading recommended. You're looking at about FJ$100 for a standard room and $130 for the executive. 2. 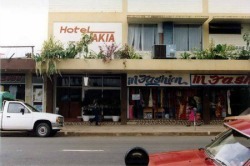 Hotel Takia - Located centrally on the main drag, Nasekula Rd, it's walking distance to many conveniences. It's cheaper than the Grand Eastern but not as nice, also with a nightclub. Other accommodation can be found along the the main street. We recommend you click on 'View Larger Map' here, or directly below the map, for a better viewing experience.